Apparently the cute submarine doesn’t have any torpedoes, but its powerful alarm can wake you up from bed. If you’re curious, let’s go on checking Sub Morning alarm clock.Sub Morning is an interesting alarm clock design concept designed by Kim Min Jeong. 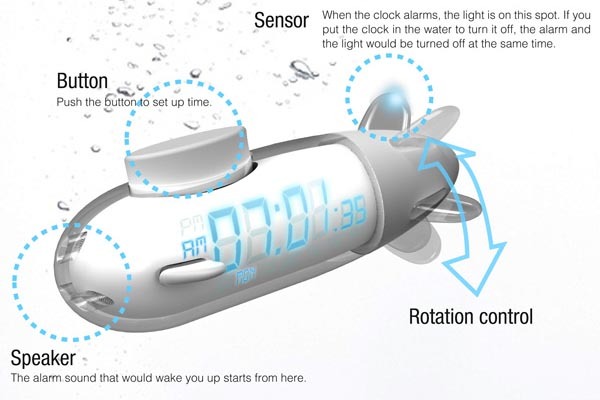 As we can see from the images, the alarm clock is shaped as a cartoonish submarine, and with a transparent and waterproof shell, so you can put the mini submarine in the water in order to turn the alarm off, while the light will also be turned at the same time. No doubt it would be a nice idea if you were awaken difficultly. 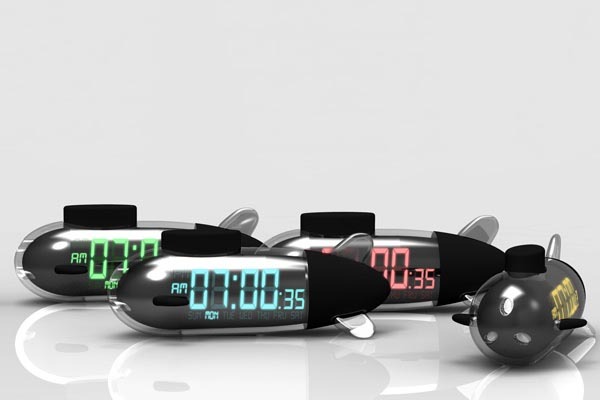 Apart from that, the submarine shaped alarm clock is a 2012 iF Design Talents entry.